Rugby Australia and New South Wales have said their position regarding Israel Folau is "unchanged" following a meeting with the fullback. Rugby Australia (RA) and New South Wales (NSW) have said their position regarding Israel Folau is “unchanged” following a meeting with the fullback. 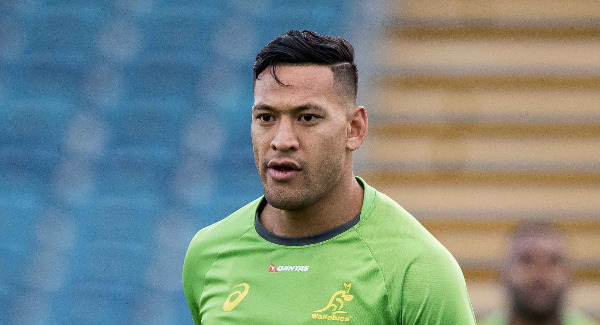 A statement released on Friday clarified that the two organisations have met with Folau in Sydney. RA and NSW announced yesterday that they are to terminate Israel Folau’s contract over discriminatory social media posts, the union has announced in a statement. The statement went on to say that they had “made repeated attempts to contact Israel both directly and via his representative” but “he has failed to communicate directly with either organisation”. Today, RA and NSW confirmed they had met the player, stating: “As the meeting was held in confidence between the player and his employers, Rugby Australia and the NSW Rugby Union will not comment on the discussions at the meeting.